Millions of people around the world today, are proclaiming “I am Charlie” in support of the editors and cartoonists at the satirical newspaper, Charlie Ebdo, murdered in cold blood by two radical Muslims. As a writer, I am in total support of the freedom of the press. Every individual has the right to express his or her views in person, print or pixelsno matter how much I may disagree with those views. If I demand laws that limit your freedom, another law may one day limit my freedom as well. Either we all have freedom to exercise our religion, freedom of speech, and freedom of the press, or none of have those freedoms. 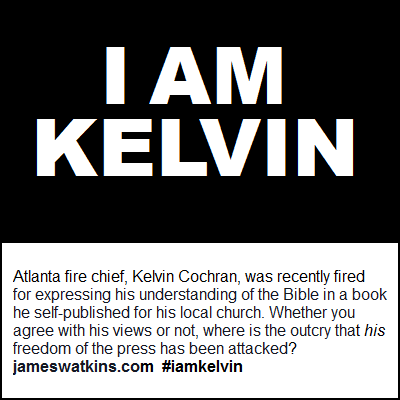 Let’s make #iamkelvin go viral!  The New York Times coverage.  Opinion piece by Franklin Graham.